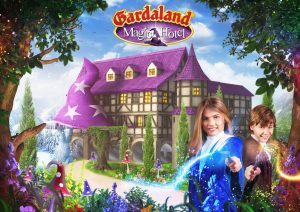 31st May 2019 will be the day of GARDALAND MAGIC HOTEL, with the inauguration of Gardaland’s new wholly themed 4-star Hotel, dedicated to the world of magic. Aldo Maria Vigevani, CEO of Gardaland made the announcement, revealing also the entity of the investment, with 20 million Euro put aside for its development. “A considerable sum” - affirms Vigevani - “which will allow us to bring to life an enchanted, magic hospitality solution, where wizards, elves, talking trees and magic creatures will be offering our little Guests and their families charming and spellbinding stays”. The structure will be composed of 128 large rooms, with three different and evocative settings: Foresta Incantata (Enchanted Forest), Cristallo Magico (Magic Crystal) and Grande Mago (Great Wizard). Each room will be divided in two different areas – the double bed on one side, the two single beds on the other side – designed to enjoy and share a unique experience for the whole family. Gardaland Magic Hotel will be located near the other two Hotels of the Resort, sharing with them a vast aquatic area, ideal for relaxing after a day at GARDALAND PARK or Gardaland SEA LIFE Aquarium. “The Lake of Garda, with its strong touristic appeal – thanks to highly accessible motorways, a nearby airport, naturalistic, cultural and touristic attractions and its favourable climate” - concludes CEO Vigevani - “has made this ambitious project possible. 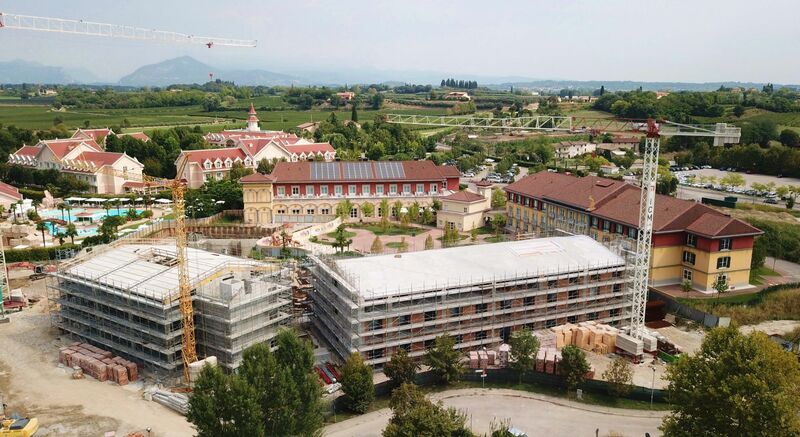 GARDALAND MAGIC HOTEL will allow us to cater to a new public, those who are not only looking for the functionality and comfort of a 4-star resort, but also for all the evocative emotions that the themes of the Resort and the magnificent setting of the Lake of Garda can offer”. This new development of Gardaland Resort underlines Merlin Entertainments’ will to further enhance the potentialities of Gardaland and to reaffirm its leadership in family-based entertainment. Gardaland Resort is indeed ranked 3rd within the Group for business volume out of over 120 structures! Gardaland is appreciated by a wide, heterogeneous public thanks to constant renovation of its attractions, dedicated to different age categories. The Garda-based Resort is definitely a destination with great international appeal, with foreign tourists increasing every year and reaching 20% of the market in the Park and 50% in the Resort Hotels.